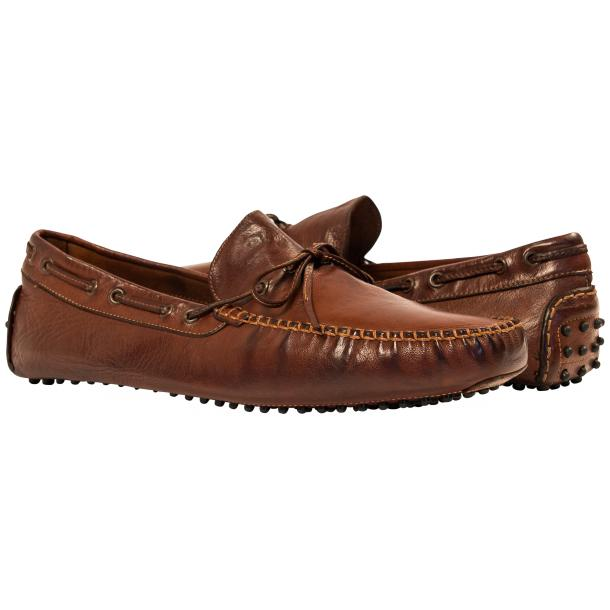 Awesome soft nappa slip on driving loafers, with twist tie. Beautiful dip dyed finish, and rubber pebble driving sole. Made in Italy.